I can never resist a good (bad) pun in a title. 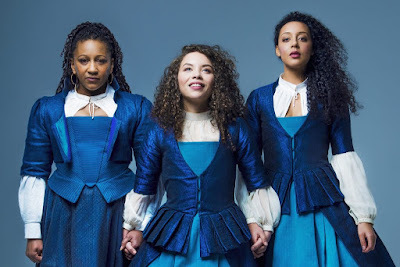 As the first production from Elliott & Harper opens its doors for previews tonight, it’s worth pausing to think what this new production company means and why indeed we need more like it. Something of a ‘power house’ company formed of Marianne Elliott and Chris Harper. Both coming from the National Theatre- as Director and Producer respectively- there’s a real understanding of both the craft of theatre and the audiences that do- and don’t- come to it there. And theatre made by and produced by theatre people, in the commercial realm. That’s potentially very exciting. Firstly, the act of two theatre people who really love theatre, really understand theatre both from an audience point of view and an artistic point of view. Secondly, one of the UK’s best directors striking out on her own to make theatre on her own terms. Thirdly, and you bet it’s an important factor, a woman artistic director. It’s all exciting, and has the potential, we already know to produce exciting work. A company that is starting with a new Simon Stephens play starring Anne-Marie Duff and Kenneth Cranham is obviously a pretty strong start. When your second play is a radically re-imagined Company, with Rosalie Craig in the starring role, and a small matter of Patti LuPone also starring. Even in the most unforgiving critic’s eyes that’s a bold and strong start. Why then is Elliott & Harper both such a good idea and an important one for theatre? Firstly, then theatre people making theatre. As loathe as some critics are to admit it, we do have a lot of great theatre happening in London and beyond (and can we pause to note that already Elliot& Harper are working beyond London with their collaboration with West Yorkshire playhouse, this gives me great hope for a regional outlook in the future) The London fringes, subsidised sector and indeed a lot of regional work are brilliant, daring and pushing boundaries and audiences to the limits. And that is wonderful work. I love the West End, I love a big musical and a classic play. I even firmly believe there’s a place for Mama Mia in this world, but what we need is a balance. Theatre that challenges audiences, gives something new, twists those classics but is also accessible to casual and seasoned theatre goers alike. And you know what, I think Elliott Harper are the ones to brings us that. Theatre people who understand both theatre as a craft, and audiences. That’s what our theatre needs an intelligent alliance at the head of a production company, one that understands and wants to challenge but excite audiences. The Harper in ‘Elliott&Harper’ will drive a production company that’s business savvy, but also doesn’t lose sight of the- at the risk of sounding artsy, and yes, a bit wanky- the art in theatre. We have a lot of business savvy producers, and we have business savvy producers who do I’m sure care about the work. But I fear a lot of them have lost touch with that. In a difficult market, when a proven commodity or safe bet is easier it feels like ‘why?’ is a question only answered by ‘money’. We need money in theatre, we all know that but a producer relationship with an artistic director that drives that question ‘Why?’ with a more complicated answer is far better for us all in the theatrical world. And having a director like Elliott then answering those questions for you with the productions is possibly a recipe for theatrical gold in every sense. Honestly I think I'll go to my grave arguing about this damn horse. Elliott’s work is big and risk taking, but the thing that always guides it back is an innate instinct at her heart as a director for stories. That she’s also one of the most conscientious and through directors working today also helps. 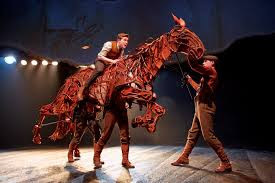 Too many productions seem a little ‘thrown together’ a ‘best fit’ or ‘will do’ which leaves glaring gaps obvious to, and ultimately off putting and insulting to audiences. Not in Elliott’s work- no research stone, or exploration of staging or performance seems unturned until it fits together. The work always feels like it gives credit to the audience’s intelligence and investment, and repays that with a sense of authenticity to the work. 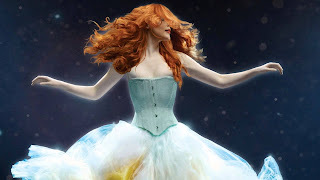 Known for big storytelling, and big visuals- from Angels crashing to Rosalie Craig floating for an entire performance, to yes, those horses again. But what perhaps goes unnoticed in the bigger picture is that all of Elliott’s work is at its heart about people, the human stories. And that’s what makes her directing not just good, but something special. Anyone can throw together big visuals with the right team, and the right budget. What distinguishes Elliott’s work is that underneath all those big images is a story driving it. Angels in America proved that once and for all, the biggest most sweeping spiraling narrative you could ask for, writ large on the Lyttleton stage and some full on Brechtian Epic staging, but what came through are the people. In ten years, while the Angel crashing to the stage will be a memory, it’ll be how you cried for Prior or the affinity you felt with Harper (or Louis….no just me?) that you’ll remember. 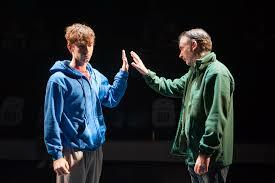 When I think of Curious Incident I have a general memory of the slick, brilliantly realised staging. But really, I think about Christopher and his story (ok and the dog). And yes, it’s important that it’s a woman at the artistic helm. Not just because we need more women visible in what is a male-dominated industry. But we need more women visibility taking charge and running things. That Elliott has used the status and freedom that being at the helm of the National Theatre’s biggest hitters not just to pick and choose what she directs, but to take more artistic charge with a production company, is exactly the steer the industry needs. Elliott could well have gone on directing for the National, or the Old Vic or frankly any other major theatre company who would a) be lucky to have her b) probably bite her arm off to have her direct for them. But in choosing to break out alone Elliott has taken back control, and is able to steer not only her career but in a broader sense the theatrical landscape in directions she chooses. And my goodness does it make a nice change to write ‘she’ in all these sentences. This isn’t about quotas, or a numbers game. It is also about getting women’s voices heard. And that is on stage and off. Off stage it’s about the sense of hope a woman in charge brings, the idea that the person running this show (in the literal and figurative sense) understands the challenges women face- firstly to get a foothold in a room of noisy men, but then as we get older and it gets harder to be heard, as we juggle children with career, still playing catch up from before and often fade further into the background. And it’s not about saying women will automatically give other women opportunities (though that’s what men have been doing since the dawn of time) it’s saying women will recognise those struggles. The women who end up working with Elliott will still be the best of the best, because they’ll need to be, but the difference is that elsewhere those women might have been overlooked. And then there’s telling women’s stories. Putting women’s stories at the forefront. That doesn’t mean telling only stories about women or written by women (though obviously that is something we all need to keep pushing for) but it means not pushing the women to the back in the stories we have. Looking at how Elliott directed Angels we already see that- in a story that is filled with men, the voices of the women still rang out strong and for once I felt Harper’s story was as much at the centre. Now in Heisenberg we have a woman in Simon Stephen’s play sharing equal footing with the male character- that’s a woman’s story on stage. We aren’t asking for it to all be about women, we just need stories, and directors who get that voice heard. And a part of that of course is Company. That deserves its own analysis just for existing. But the fact that people (men) are already complaining that it won’t work, exactly proves why it’s a story begging to be told. As a 33-year-old single woman, honestly the thought of Company told through a woman’s lens makes me want to cry- because it feels like my voice is being heard. Because I’ve heard all the things thrown at Bobby a hundred times, and because as a musical theatre nerd I want a woman at the heart of something not just to fall in love with the man. And because well who doesn’t cry a bit at the thought of Rosalie Craig in anything right? But in all seriousness, maybe the piece has started to age with Bobby as a man but put a woman’s voice at the heart and it feels like that answer to a question I hadn’t thought to ask. And that’s why, that’s why we need women like Marianne Elliott taking charge, making work. And if your opening move involves re-writing Sondheim…well I can’t wait to see where you go from there. So, Elliott & Harper, break a leg as Heisenberg opens its doors. And from there…who knows but it looks like it’s going to be something worth watching in every sense.